flexing of the floor pan. MTSB-36NA | 36" x 36" x 3"
• Pre-leveled with integral tile flange on 2 sides to facilitate installation. MTSB-38NA | 38" x 38" x 3"
MTSB-42NA | 42" x 42" x 6"
MTSB-48NA | 48" x 48" x 6"
MTSB-51NA | 51" x 51" x 6"
MTSB-36CT | 35.75" x 35.75" x 5"
Accepts glass enclosures on two sides. 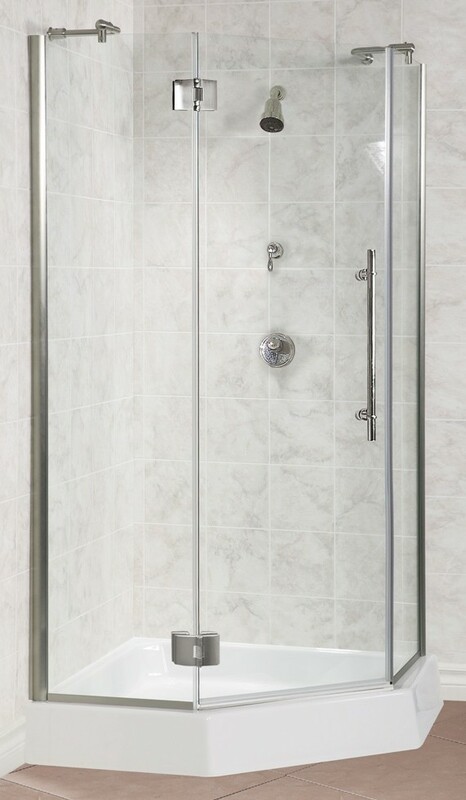 MTSB-3232DT | 31.75" x 31.75" x 6"
• Dual threshold; 3.5" drain opening pre-drilled. 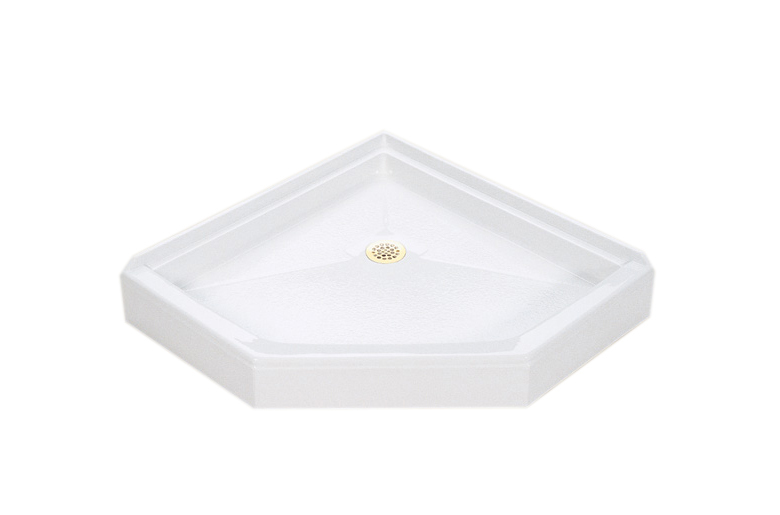 MTSB-3636DT | 35.5" x 35.5" x 6"
MTSB-4242DT | 42" x 42" x 6"
MTSB-4848DT | 47.75" x 47.75" x 6"
Available with a right or left drain configuration, seated shower base features an integral seat, integral tile flange and textured bottom. 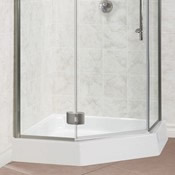 MTSB-4832 Seated | 48" x 31.5" x 22.75"
• Single, front threshold with integrated seat; 3.5" drain opening pre-drilled. MTSB-6030 Seated | 59.75" x 29.5" x 19.5"
MTSB-6032 Seated | 59.5" x 31.25" x 19.5"
MTSB-6036 Seated | 59.75" x 35.5" x 21.5"
MTSB-6042 Seated | 59.75" x 41.75" x 22"
MTSB-6048 Seated | 59.75" x 47.75" x 21.5"